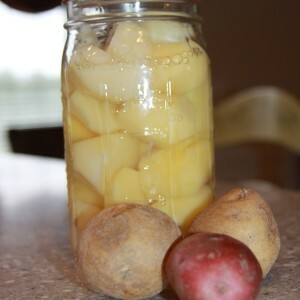 Canned potatoes are not my favorite I would prefer fresh but when I have more than we can eat at harvest time or when they are dirt cheap around Thanksgiving this is a great cheap way to add some shelf stable food to your pantry. Great for mashed potatoes, roasted potatoes, or potato soup. 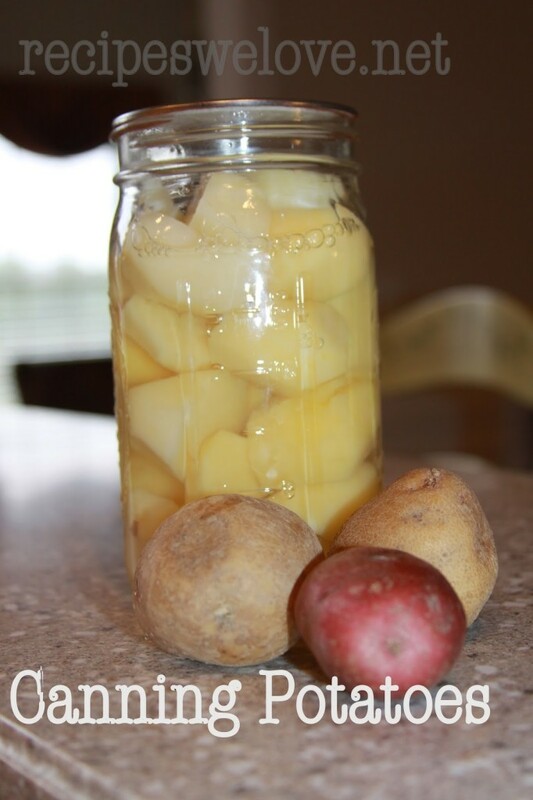 Wash and peel potatoes and place cut potatoes in water to prevent darkening. Cook 2 minutes in boiling water and drain again. For whole potatoes (small potatoes) , boil 10 minutes and drain. 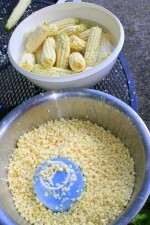 Add 1 teaspoon of salt per quart to the jar. Fill jars with hot potatoes, leaving 1-inch head space. Cover hot potatoes with boiling water, CLEAN WATER NOT WHAT YOU COOKED THE POTATOES IN (it would have too much starch in it), leaving 1-inch head space and covering all pieces of potato. Process in a PRESSURE CANNER at 10 pounds of pressure for 35 minutes for pints and 40 minutes for quarts. For 7 Quarts you will need 18-20 pounds of potatoes.